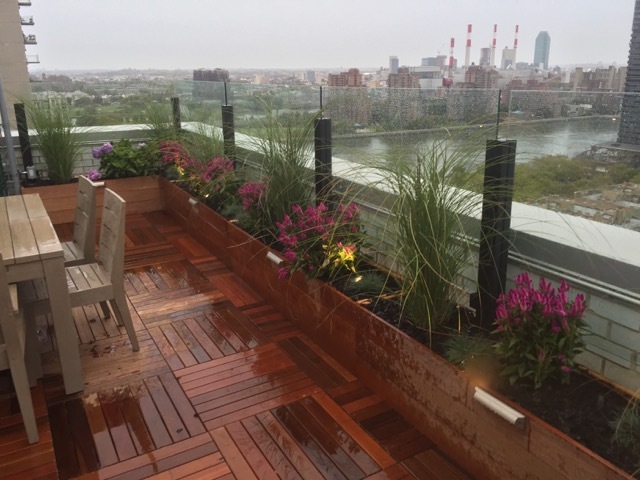 New York Roofscape designers specialize in landscape architecture, landscape design, and installation of beautiful and creative outdoor living spaces in the greater New York area. 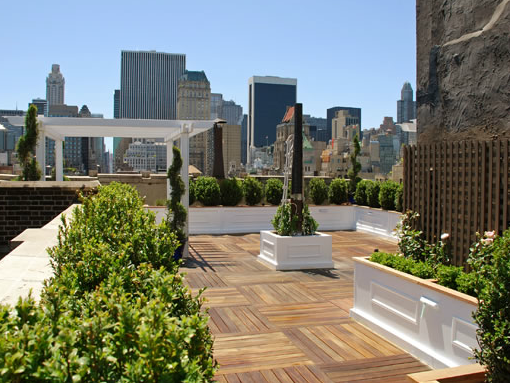 For many years New York Roofscapes designers have been designing gardens, roof gardens and outdoor living spaces for beautiful properties around New York City and beyond. We have an excellent reputation for our landscape architecture, creative designs, and quality landscape construction. It is important to select a landscape design that work well with your climate. Plants and landscape designs in another state may not be successful in all climates. Warmer and cooler temperatures need to be considered as well as rainfall. New York Roofscapes landscape architects and designers practice of all types of landscape architecture, from large commercial properties to unique residential roof gardens. New York Roofscape’s creative landscape designs have a reputation for excellence in the landscape architecture profession. In addition to landscape architecture, New York Roofscapes has years of experience in construction, masonry, hardscaping, and carpentry. This experience gives us knowledge about construction materials and techniques. Decking materials, decking layout, and decking architecture should be in harmony with plants, plant design, shrubs and trees. Our landscape Architect/designer will listen to your ideas at our initial meeting and draw a schematic plan to develop your ideas. We’ll help you design decorative paths, trellises, patios and gazebos to create an artistic oasis in the middle of your urban life. Contact NY Roofscapes for your landscape architecture and design.